Is it difficult for you to fast on the Jewish calendar fast days of the 17th of Tammuz or the 9th of Av? We have a simple solution for you -- the following website is so nauseating, that after one look at it, I lost my appetite and it made fasting a snap. "Ta'anit Tzedek - Jewish Fast for Gaza is an initiative that seeks to end the Jewish community's silence over Israel's collective punishment of Palestinians in Gaza. 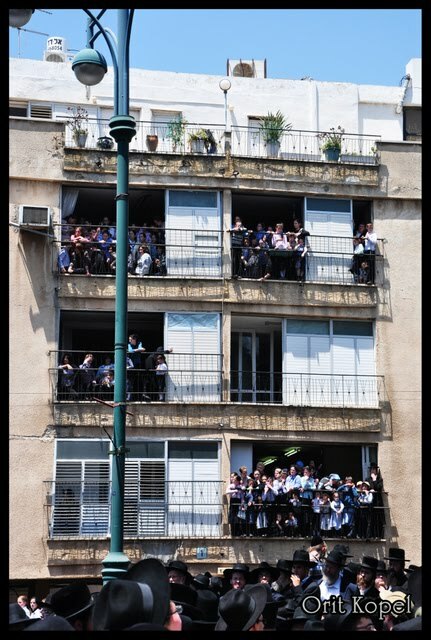 Initiated by Rabbis Brant Rosen and Brian Walt, Ta'anit Tzedek began with a commitment by a minyan ("quorum") of rabbis to engage in a fast in order to support relief efforts, to call for a lifting of Israel's blockade of Gaza and to support all efforts toward a substantive resolution to this dire humanitarian crisis. Ta'anit Tzedek is supported by a growing number of rabbis, interfaith leaders, and individuals from a variety of faith traditions. We invite all people of conscience to join us in this effort. Ta'anit Tzedek is an ad-hoc initiative and is not affiliated with any specific organization or institution." The "Rabbis" running this claim to not be affiliated with any specific organization, except many of them coincidentally happen to be local J-Street activists (not that it's surprising). Don't worry, the authenticity of these Rabbis in not in question, except that the fast dates on their website...are wrong. "Upcoming Fast Days: Thursday July 15th"
The following tidbit on their website also made me puke and I'm sure the families of the 28 black South Africans who were sentenced to death when they appeared before Goldstone during the apartheid regime -- would agree. As rabbis from diverse traditions and locations, we want to extend our warmest mazel tov to you as an elder in our community upon the bar mitzvah of your grandson. Bar and Bat Mitzvah is a call to conscience, a call to be responsible for the welfare of others, a call to fulfill the covenant of peace and justice articulated in our tradition. blah blah blah -- its all on their website. So forget all those witch potions and herbal remedies to help you fast -- go to this website, lose your appetite, and you won't even notice the time passing by. Call the US for the price of a Local call! Translated by Jameel @ The Muqata, (with minor additions) from the NRG article in Hebrew. For Heaven's Sake: First Female Religious Pilot? Among the IAF cadets taking off from the Hatzerim Air Force Base is also "T." Her community is already planning the celebration for Israel's first religious female combat pilot. Photo Courtesy of IDF Spokesman New Media Unit. 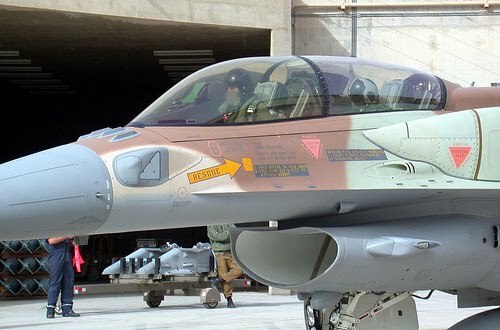 Every time a fighter jet passes over the religious moshav in Southern Israel, all eyes proudly gaze to the skies, wondering if the jet's pilot is "T" -- a 21 year resident of their moshav, who is on the flight path to make history. The hardworking young woman recently completed the first year of the challenging, elite combat pilot's course of the IDF and she is expected to complete the course as an IAF squadron combat pilot -- as the first religious female cadet. "T" stands out among the landscape of the Air Force Base which is home to the most prestigious military course offered by the IDF, both by being a woman and by being strictly religious. Till now she only wore military issued skirts, which are now being replaced by her flight overalls, and she is careful not to touch any of her male colleagues, due to the Jewish laws of modesty, tzniut. Last week "T" was informed that she has been placed in the combat pilot's track, which will include at a later stage attacking targets dogfights. Her very presence in the course is unusual, and even her way to the coveted pilot's course was "historical". While most nationalist-religious women serve in "National Service" for a year, "T" decided to spend 2 years doing "National Service" within the framework of a Midrasha (a Jewish studies program for women) and volunteering as a Bnei Akiva Youth Movement "Komonarit" (chapter leader). "T" decided that her "National Service" was not an alternative to army service and at age 20, she announced to her family that she was joining the IDF and going to the pilot's course, which requires signing on for 9 years of military service. In her Midrasha yesterday, they spoke highly of a unique girl, whose awareness of contributing to society flows through her veins. "We always knew that she was destined for greatness," revealed one of her teachers, "You need to know her personally to understand what a special and quality person she is, and how much she wants to give from herself." She's a "totachit" (slang for artillery canon) and she always "hegdilah rosh" (was proactive, responsible and resourceful). "T's" father works in agriculture and her mother, a nutrition instructor by profession, works in her community's local economy. The couple has 5 children, with one of them about to become very famous. Her's community's members closely follow her advancement, and wait for the happy announcement when she finishes the course. The fact that only 1 out of 6 IAF cadets finish the course doesn't worry her many fans; "She will be the first religious female pilot in the history of the IDF. Just as she has made us proud till now, she will continue to do so in the future." Asked how a religious young woman can combine the difficult physical tasks from the challenging course with the values of modesty and "tzniut", her friends said that "She is a quality person. We are confident that she will also finish the course and make a positive impression on her commanders and the other cadets. She will continue to remain religious as she has been till now, and the course won't have any affect on her religious observance." The future pilot's family preferred to keep a low profile on the story, and preferred not to speak about it for the time being. "We believe its premature to discuss this now, and we're waiting for her to successfully finish the course," her father told NRG/Ma'ariv. One of her family members summed it up, "We're all following her progress and happy to hear each month when she's still in the course. It's a great honor for us and for Religious Zionism that she has gotten this far. We hope that she will successfully finish the course and become a pilot. Nothing would make us prouder." We here at the Muqata blog offer our best wishes to "T", hoping she achieves her dream of continuing to help the Jewish people. "Lots were drawn, and he was chosen...if you think you know the answer, why not participate in the National Bible Contest for Adults"
The response is overwhelming: Over 1,650 people have registered so far! And now, Shadi Abu Arar, a Bedouin Hebrew literature teacher has registered to participate in the National Bible Contest for adults as well. Abu Arar has been preparing for the competition since the announcement was made and has enlisted the held of a Jewish Bible teacher from Dimona. "I have been drawn to the Bible since I was a kid," he explained. "I find many common points between the Bible and the Quran. As far as I'm concerned the study of the Bible doesn't replace or contradicts the Quran. The Ten Commandments, for instance, also appear in the Quran. "As someone who endorses co-existence between Jews and Arabs I think that everyone should get to know the other's culture and holy writings, and this is what I am doing." Abu Arar noted that he also incorporates Bible studies in his Hebrew literature classes for Arab children. "The final exam includes questions on such books as Proverbs, Ruth, Pirkei Avot ans Genesis." However, it quickly turned out not everyone shared his enthusiasm with the contest. Various elements, some from the Bedouin education system, claimed he was denying the Quran. "Many people were mad at me," he said. "But I'm doing it out of firm belief. I tried to explain and told them that historically the Bible is the first book, which cannot be denied, but it didn't help." His students, too, were baffled by his decision but became avid supporters after he explained his stance. "I told my students: 'Do you think your teacher would do something that is wrong?' and now they're all rooting for me to make it to finals," the proud teacher said. 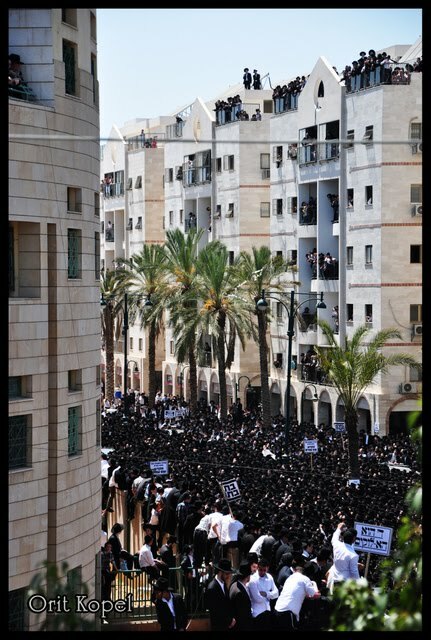 I would be willing to wager that Abu Arar knows Tanach/Bible better than most Israelis...and Yeshiva students. Following in the footsteps of the the US’s joint military activities with the PA in Judea and Samaria (in the form of General Dayton’s Palestinian army) the EU has decided to ratch things up a bit higher. The European Union is planning on creating a similar, independent little army in Jerusalem via the services of the shadowy Saladin Security, a private security/mercenary firm the UK government allegedly uses for activities the UK government/military can’t be directly or officially involved with. The EU has already begun trying to get gun licenses for their team members in Jerusalem. Saladin Security (formerly KMS) apparently has a long history of training "fundamentalist Islamic guerrillas". One can only hope that someone in the Israeli government finds some Sechel and blocks this dangerous, subversive attack on Israel’s sovereignity. 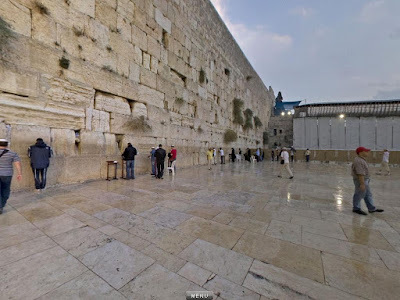 Click on the Kotel below (or go to this site), and you can rotate these photos, 360 degrees in all directions. "Seven Israeli Arabs affiliated with al-Qaida and Global Jihad have been arrested for allegedly murdering a taxi driver last year, and carrying out a series of terrorist attacks, the Shin Bet (Israel Security Agency) revealed on Monday. In a joint police-Shin Bet operation, Ahmed Ahmed, 21, Jalib Janam, 26, Wassim Allam, 23, Khidar Ziddana, 22, Ahbed Abu-Salim, 19, Adi Azzam, 23, and Oman Kakhibi, 22, all Nazareth residents, were arrested between May 11 and June 21. All seven were indicted Monday at the Haifa district court. The seven said that they founded a group called Aljahabiyya and claim to follow Salafism, an extremist Sunni Islamic movement. Aljahabiyya was formed two years ago, and inspired by and affiliated with al-Qaida and Global Jihad. The group underwent a process of radicalization, using material found on the Internet, including pictures of weaponry and instructions to prepare explosives and perpetrate terrorist attacks. The seven downloaded al-Qaida propaganda movies and speeches by Osama Bin Laden. "They accessed the Internet for jihadi ideology and indoctrination, and used it as an information source to listen to extremist clerics," Elgrisi said. The group allegedly carried out attacks to avenge the murder of Arabs by Jews in Israel, and confessed to plotting to kidnap IDF soldiers and taking their weapons. Ahmed, Janam and Zidanna were involved involved in the murder of taxi driver Yafim Weinstein, who was killed on November 30, 2009, as well as other attacks. In their interrogation, the three confessed to ordering Weinstein to a kibbutz near Nazareth, where one shot the taxi driver, and others assisted in destroying evidence. They reenacted the murder and led investigators to the place they hid the murder weapon used to kill Weinstein. The NIF (New Israel Fund) is so far gone over the edge that they really have no clue, unless this is part of their "Pluralism" message they want to impart. The NIF recently sent out a letter to Rabbis asking them to join in a day of touring of select NIF funded organizations and meet a self-declared former Zionist. Obviously this mini tour isn't meant for Orthodox rabbis. It isn't meant for Traditional rabbis. I'm not sure it's meant for Conservative rabbis, which only really leaves Reform rabbis - whom I suppose they think are anti-Zionist enough for them. Because the NIF "rabbinical guests" on the mini-tour will be having lunch at a non-Shomer Shabbat, non kosher(!) restaurant. You would think that if they wanted religious rabbis involved the meal would be somewhere kosher. I can see it now, "Rabbi, will you be having Mozzarella cheese on your lamb, courtesy of the NIF's new Pluralism program?" UPDATE: The NIF removed all mention of which specific restaurant lunch will be at. Good thing we took a screen shot (for those NIF supporters who think we made this up). I bet it will be at the same place. Hattip to Yisrael Medad who sent me the original email the NIF sent out (thinking I was a Rabbi I guess). 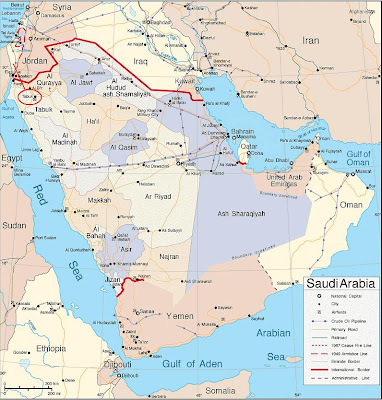 (Islam Times) – The Israeli army established a military base in Tabuk, which is located in northwestern Saudi Arabia. A number of Israeli airplanes landed in the international airport located nine kilometers away from Tabuk. A number of Israeli soldiers and military equipment disembarked from these airplanes. The Saudi Arabian aircraft ministry forbid all flights on Friday and Saturday. The passengers that were unable to board their planes believe that it has something to do with the Israeli airplanes. A passenger that was planning to travel from Jeddah to Tabuk stated that the airport officials booked the passengers in four star hotels in order to prevent them from expressing their anger. The hotels were paid for by the government. Saudi Arabia has refused to explain why flights were cancelled on Friday and Saturday. Saudi Arabia’s measures to allow Israel to use their country in order to harm the resistance movements in the region is something that has enflamed Muslims throughout the world in recent years. Lenny Ben-David explains why this is patently ridiculous. Tabuk is located in northwest Saudi Arabia and 800 miles from Iran. It doesn't cut any flying time from Israel to Iran. 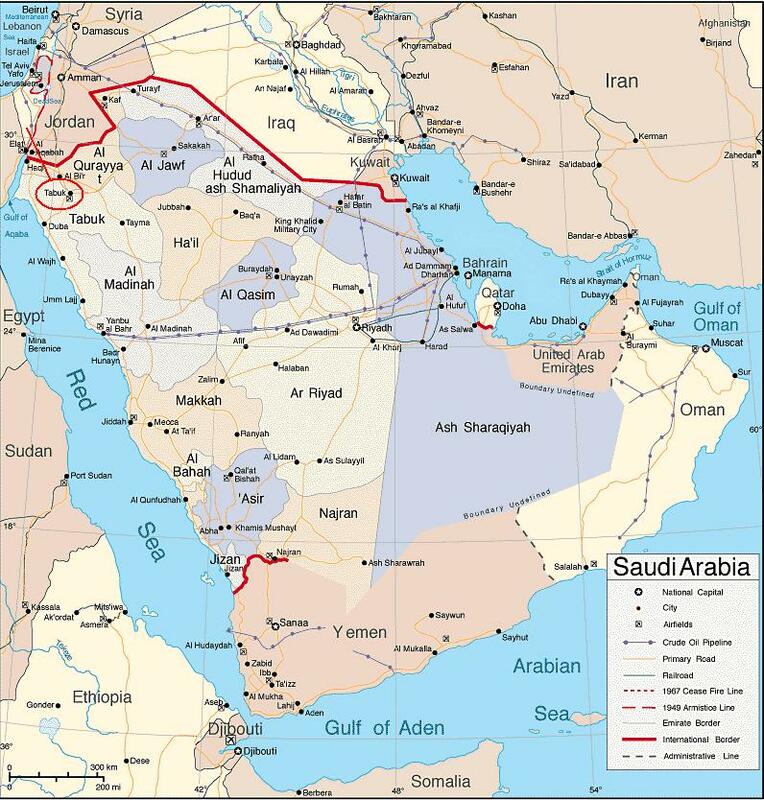 If -- and that's a big if -- Israel wanted to attack from Saudi Arabia, there are other Saudi bases closer to Iran, such as the Prince Sultan base near Riyadh or the Dhahran base close to the Gulf. And, if Israel plans to attack Iran, and if Israel couldn't accomplish the task with mid-air refueling, there may be other bases in the region that would be better. Lenny's right on the money and this story should be relegated to Snopes as urban legend. BERLIN — A Jewish dance group was attacked with stones by a group of children and teenagers during a performance at a street festival in the Germany city of Hannover, police said Thursday. One dancer suffered a leg injury and the group then canceled their performance. Police said the incident is under investigation and that they do not have an exact number of attackers yet. Schiewe said there were several Muslim immigrant youths among the attackers. Alla Volodarska, whose Progressive Jewish community of Hannover group held the performance, told The Associated Press in an interview that members were still in shock. "What happened is just so awful," Volodarska said. "The teenagers started throwing stones the moment our dance group was announced, even before they started dancing." As many well-meaning people might say, this isn't antisemitism at all (despite the anti-Semitic slurs), but simply valid criticism of Israel and its handling of the flotilla. Arab and Turkish ‘youths’ caused a serious anti-Semitic incident last Saturday at a city festival in Hannover. A variety of dance groups and other entertainers (I’ve been to these kinds of festivals in Germany so things like local school gymnastics groups and so forth) took the stage. However, when an Israeli troupe of folk dancers, invited on the behalf of the liberal Jewish community, came on the stage they were attacked by approximately 30 stone-throwing Arabic and Turkish teens between the ages of 12-16 who shouted: “Jews out”. The dancers were forced to flee the stage and one of the dancers was injured with a concussion from the stones thrown. The teens had come prepared with stones and a mega-phone over which a 16 year old boy repeatedly yelled “Juden Raus” (Jews out) and his cry was joined by the other stone-throwers. 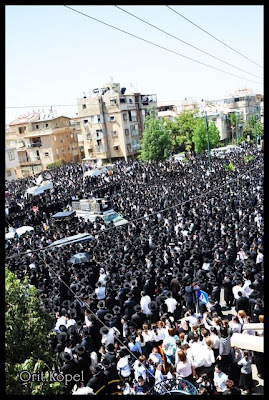 I wonder what reaction Hannover's Jewish community had towards Israel's treatment of the flotilla incident. The other day I traveled to the US Embassy in Tel-Aviv to apply for a social security number for my son. Despite the "official" policy of the US Embassy's refusal to provide any consular services or "Federal Benefits Unit" services to any resident of the "West Bank", the majority of the time it's not a problem. As recent as 8 months ago, we took care of passports and US birth certificate issuance at the US Embassy Tel-Aviv, and they knew we lived in the Shomron. The other day however, after taking care of all my paperwork, stamping everything, and I was getting ready to leave the window, the embassy window person said, "Uh Oh, You live in the Shomron"...and she pushed all the paperwork back through the slot in the window. "You'll have to reapply in the East Jerusalem consulate, since we only service US citizens in Israel, not from the territories," she said abruptly. "But you issued my son's birth certificate and passport here 8 months ago," I added. "You'll have to reapply in the East Jerusalem consulate, since we only service US citizens in Israel, not from the territories." 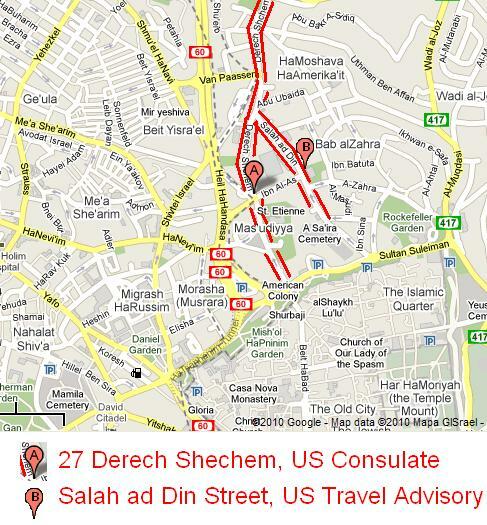 Last week IDF radio informed me that the US State Department has issued a new travel advisory, for all American citizens to avoid "East Jerusalem". The official advisory on the US Consulate website simple said, "exercise caution"...around Salah Ed-Din Street, which as you can see below, is right next "Derech Shechem"...the location of the Jerusalem Consulate that I'm forced to visit. "Travelers should exercise caution at religious sites on holy days, Fridays, Saturdays, and Sundays. Isolated street protests and demonstrations can also occur in areas of East Jerusalem, including around Salah Ed-Din Street, Damascus Gate, and the Sheikh Jarrah neighborhood." I guess the US Embassy doesn't really care about exposing US citizens to danger. What I did find annoying was the "security update" on the US State Department website (linked from the Tel Aviv Embassy homepage) -- the State Department's narrative of events looks like it was written by Helen Thomas. The violence didn't decrease because of PA security forces, but because the IDF weeded out thousands of terrorists (many of them from PA security forces). Only once things were quiet, did the IDF slowly allow for PA forces to be deployed. The State Department wants to give credit to those who deserve it the least. Occasional small clashes continue to occur along the border. Rockets and mortars are still occasionally fired into Israel from Gaza, and the IDF continues to conduct military operations inside Gaza, including airstrikes. Who is responsible for these "small clashes" or the rockets and mortar fire? Don't worry, the IDF is named as conducting "military operations" inside Gaza. Nonetheless, demonstrations and violent incidents can occur without warning. Vehicles have also been the target of rocks, Molotov cocktails and gunfire on West Bank roads. No mention of who is involved in these incidents, nor who throws the rocks, molotov cocktails or who is shooting guns. So who is the guilty party? U.S. citizens can be caught in the middle of potentially dangerous situations. Some U.S. citizens involved in demonstrations in the West Bank have sustained serious injuries in confrontations with Israeli settlers and the Israel Defense Forces (IDF). Israel and Hamas, a State Department-designated foreign terrorist organization that violently seized power in Gaza in June 2007, declared separate truces to end the fighting. Despite the US State Department's attempts to besmirch the settlers, whitewash Palestinian and Islamic terror, and make it difficult to obtain a social security number for my son, I'm not leaving my home. PS: For all those living in Modi'in, the State Department says its "ok" to travel on 443, provided you ONLY travel there DURING DAYLIGHT HOURS. U.S. Government personnel and family members are permitted both official and personal travel on Route 443 between Modi'in and Jerusalem without prior notification, during daylight hours only. 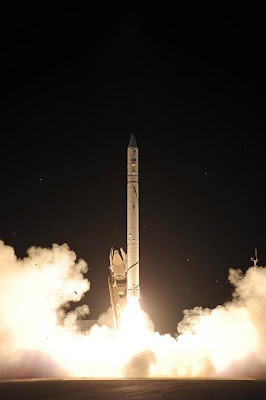 adding yet another spy satellite to Israel's intelligence arsenal. "When we wish to examine targets, we need our own satellites to do the job," a senior defense official said. "The new satellite will enable us to perform frequent activity at higher resolution." The satellite was launched from the Palmachim Air Force base in central Israel, in line with a pre-determined plan unrelated to recent developments, officials said. 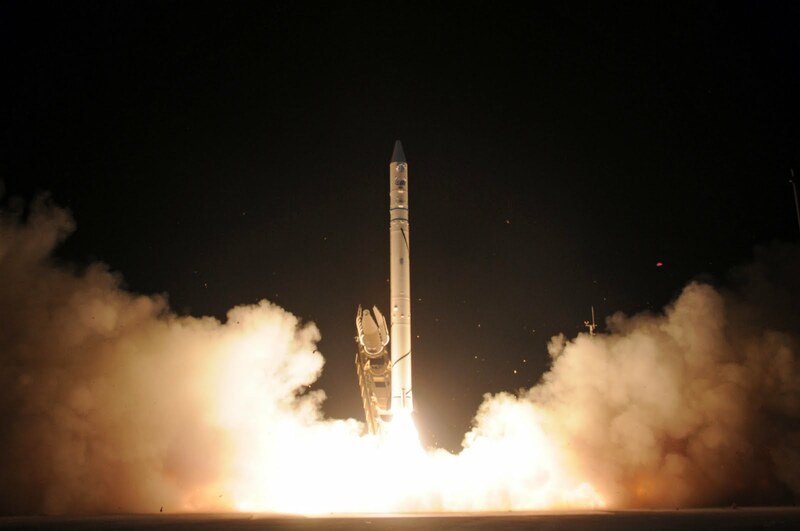 The Defense Ministry issued an official statement, saying that the Ofek 9 satellite "was launched and successfully injected into orbit by means of a Shavit satellite launcher." Good to know that our spy satellites are up there. Maybe now Prime Minister Netanyahu will be able to safely travel on Road 443. I've stopped posting because I came to the conclusion that there was no purpose in one more person saying what many others are saying, even if many more are saying the opposite. In the past 5 years of blogging, I don't recall a single issue that has personally disturbed me more than the current Emanuel school case. I've been bothered by many problems here in Israel over the years, but today the feeling is that either I'm simplu not getting through or I'm so totally wrong that I can't see it. See what Benchorin has to say. In the meantime, I will be cheering up at a wedding this evening, between Laizy (director and writer of Srugim) and Ronit (the Latma TV anchorperson). Just when the Oakland area flotilla-supporting-lunatics thought they were going to "get even with Israel", victory has been snatched from their grasp. Hundreds of protestors yesterday prevent a Zim Integrated Shipping Services Ltd. ship of being unload at the Port of Oakland in California. The protestors came in two groups, blocking two shifts of longshoremen, who agreed not to cross the picket line, leaving nobody to unload the vessel. Police and demonstrators estimated that a crowd of 500 people blocked the entrance to Pier 4 where the Zim ship was anchored. Oakland Police said that no arrests were made. Of course, the Chinese do all sorts of nasty stuff to people, but I don't think the ANSWER Coalition could care less about Chinese Human Rights abuses, when they have the opportunity to bash Israel over flotilla terrorists. Israel's security forces have forbidden Israeli Prime Minister Benjamin Netanyahu from traveling on the Modi'in-Jerusalem "443" Highway, due to the elevated threat levels -- a result of the road's opening to general Palestinian traffic. Israel's Supreme Court ordered the opening of highway 443 to Israeli and Palestinian traffic, after years of it being closed to Palestinians after dozens of terror attacks that left Israelis dead and wounded. Some good news: The traffic light at the dangerous Atarot intersection on 443 has resumed operation, after a 3rd transformer was installed atop a very high electric pole (the previous 2 were stolen by Palestinians after the IDF abandoned a checkpoint at the intersection in favor of a different one, a few kilometers west of it). There are many more examples; these are just a few that come to mind. If you have any more, please feel free to leave them in the comment section. I'm not going to go into all the details here (you can read it all on their sites), but PayPal canceled the accounts of a number of anti-Jihad reporting sites such as Atlas Shrugs and SIOA (Stop Islamization of America). It labeled them hate sites. Meanwhile sites that actually do support/finance Jihad (see the above linked articles for details) continue to offer PayPal as an option. CAIR of course applauded the action against the anti-Jihad sites. A lot of arguments on the PayPal community site, thousands of protest email, followed up with hundreds of people closing their PayPal accounts in protest (and of course stating the reason why) caused PayPal to reinstate the sites ultimately saying they made a mistake in classifying the sites as hate sites. Meanwhile, a number of bloggers have said they are moving to something called GPal. I don't know much about it yet. The question I want to know is who was behind trying to classify these sites as hate sites? It sounds like the kind of action the BDS groups would try to do to shut up those who would expose them. Over 85,000 people are demonstrating in Bnei Brak, and over 75,000 50,000 in Jerusalem to protest the imprisonment of 44 couples from Emanuel, who refused a directive from Israel's Supreme Court to send their children to school. The Supreme Court has alleged that discrimination takes place in the school, and that all students be admitted to the "Chassidic" track, regardless of their background or level of religious observance. The parents disagree that there is discrimination, since both Sephardi and Ashkenazi girls attend the special track, and both Sephardi an Ashkenazi parents are on their way to jail. 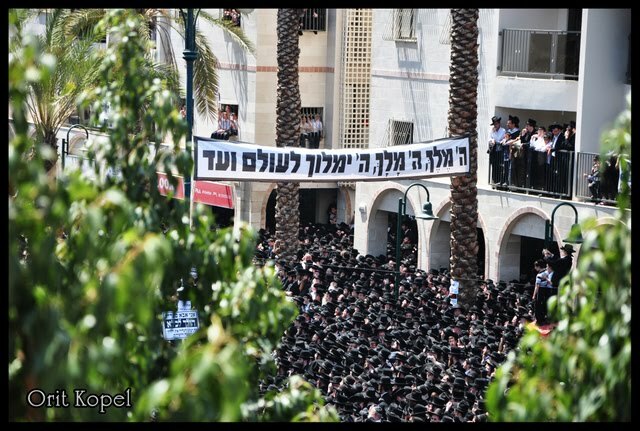 One of the signs held by a secular demonstrator read: "Secular Jews against the Supreme Court Dictatorship"
Some 50,000 protestors flocked to Jerusalem's Yirmiyahu Street along with signs reading, "High Court against the people" and "God will rule for all eternity". In Bnei Brak, children held signs reading, "The High Court is fascist" and "Flotilla terrorists free! Students' parents to jail." The following exclusive photos from Orit Kopel (reproduced with permission) document the demonstration in Bnei Brak. I'm reminded of the State Attorney Uri Korb who dared to criticize judges in Israel. He was almost fired from his job...Latma presented the following satire video describing the Supreme Court's field trial of Uri Korb. Today marks what can potentially be a hugely significant day in the history of Israel of a State, as the Supreme Court of Israel has ordered the forced imprisonment of 44 couples for refusing to change their school's admission policy. One thing I can tell you about this issue is that it is extremely complex, and far from a crude "Sephardi discrimination" case. I personally know 2 of the families that (if all goes according to the Supreme Court's plan) will be imprisoned tomorrow giving me a slightly more interesting picture than the journalists and bloggers who will be covering this event. Some background: Our story takes place in the Shomron settlement community of Emmanuel, which prides itself as "the Bnei Brak of the Shomron". There is a Beis Yaakov girls school in Emmanuel, run primarily by Slonim Chassidim. The Beis Yaakov school is funded by the State-acknowledged, "Chinuch Atzmai", independent school system, and the curriculum is fully out of the hands of Israel's education ministry. Emmanuel's Beis Yaakov has admission policies that are now stricter than others as a result of their alignment with the Slonim Chassidim, and as a result, less Sephardim are enrolled in the school. The admission policy is not exclusively a Sephardi-Ashkenazi issue, but also one of observance. One of the parents of a girl who was rejected from the school took the case to Israel's Supreme Court, and the court ruled yesterday that Beis Yaakov in Emmanuel must admit everyone, equally. Especially since Beis Yaakov is State-funded (despite being a "Chinuch Atzmai, Independent Education" school), the State can demand that there be zero discrimination based on Ashkenazi/Sephardi background. I agree 100% with the above statement, and if the school is State-funded, it has to play by the rules. 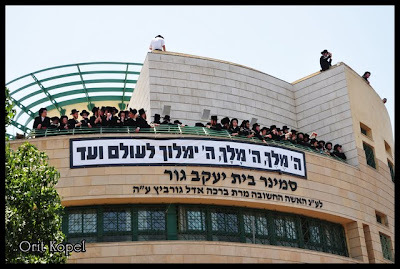 The Slonim Chassidim in Emmanuel have requested a permit for a totally independent, non-State funded school, so that they can have their own admission policy, and they will probably have that within the next month or so. Yet, the Supreme Court decided that they needed to force the issue, and with only 2 weeks left to the school year, they ruled that the parents must open the school equally to all. Parents refusing to send their girls to the school as a result of the forced integration will be imprisoned for the remainder of the school year (2 weeks). Here's where the story is so sad. 1. Of the 44 families (men and women) slated to go to jail tomorrow, at least 10 of them ARE SEPHARDIM. Their daughter are in the school currently as they accepted upon themselves the stringent criteria set forth by the school. Anyone who says that this is a simple case of discrimination is simply lying. If there are Sephardim in the school, who agree with the school's policy, then it can't be purely an issue of discrimination. 2. The school could have been legally closed 2 weeks early for the summer vacation, and started two weeks earlier at the end of the summer, when the whole issue will have been resolved. 3. 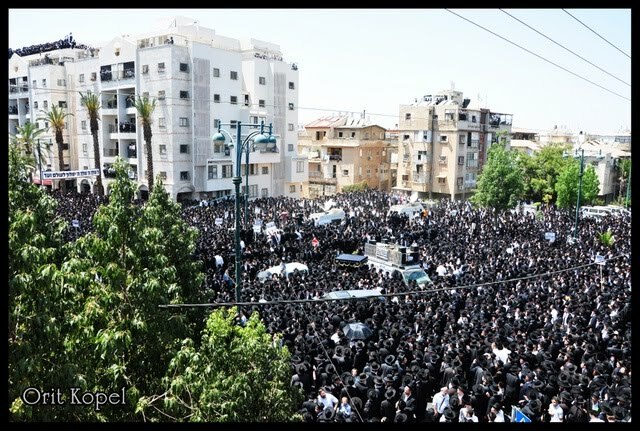 Chareidim are organizing a massive demonstration tomorrow in Jerusalem and initial police estimates place the crowd at 250,000 people. If the Chareidim ever felt alienated before, sending 44 families to jail will be a brutal slap in the face. 4. Israel's Supreme Court is arrogantly forcing this issue, as anti-Chareidi elements dance in the streets and froth at the mouth for the opportunity to send 44 couples to jail. Examples include Tzippi Livni on IDF radio who repeated over and over; "break the law and you must go to jail". Is it really necessary to turn these 44 families into martyrs, and turn the entire Chareidi community against the State of Israel? Lastly, Dr. Ephraim Shach, son of Ashkenazi Godol HaDor, R' Elazar Menachem Man Shach read a letter on Israel's Channel Bet radio today that his father wrote 19 years ago. The letter stated in no uncertain terms that Ashkenazi schools must admit Sephardim; not as a matter of policy, but as "halacha", with no excuses. The Supreme Court believes it has won, as it will force "lawbreakers" to respect the rule of law. The 44 families will believe they have won, as they will go to jail for 2 weeks and prove that the Zionist entity cannot break their will or force admissions policy on them. The truth is -- we will have all lost. Tomorrow, Israel will be on the brink. Will the government prevent the Supreme Court from sending 44 families to jail? Police brace for new haredi riots: Netanyahu calls for restraint after ruling in Emmanuel case. Netanyahu urges restraint in segregated West Bank school row: Police fear mass Haredi protests over High Court decision to jail defiant Ashkenazi parents who refuse to desegregate an ultra-Orthodox girls' school in the settlement of Immanuel. Israel's government created a blue-ribbon investigatory panel in 2009, headed by retired supreme court justice, Eliahu Mazza, entitled "The State Commission of Inquiry into the Handling by the Authorized Authorities of the Evacuees from Gush Katif and Northern Samaria." Today, they released their findings in a scathing, nearly 500 page report. "Five years following the evacuation and a very grim picture emerges on the ground," the report concluded. "Most of the evacuees still reside in temporary trailer parks; the construction of most of the permanent residential buildings has yet to commence; the vast majority of the public buildings have yet to be built; the unemployment rate among the evacuees is double that of the general public; some of the evacuees' financial state is dire and there are those who are in need of welfare support; there are those who still hold legal battles opposite the State regarding the amount of compensation." The findings showed that the government had expected most evacuees to take compensation and was caught out when 85 percent of the evacuees elected to relocate as a community. However the inquiry found that the government was inadequately prepared to resettle whole communities, resulting in mishandling of the evacuees. About 1700 families, from 21 different settlements, were evacuated from the Gush Katif settlements as part of Israel's unilateral disengagement from Gaza in 2005. The report went on to say that the settlers had subsequently "become refugees in their own country" and "faced major bureaucratic hurdles" in rebuilding their lives. Five years after the evacuation, unemployment levels among the former settlers were found to be twice the national level, and many were still living in temporary accommodation. Public buildings have not been erected for their use, despite the fact that many evacuees have now moved to their final destinations. It did not happen despite of the settlers, but because of them. It had nothing to do with the Palestinians, demography, the desire to make peace, the relative feebleness of the IDF, or any other explanation that was given. There was a totally different motivation behind the disengagement. The Israelis merely felt that the settlers should be taught a lesson in humility and perhaps in democracy too. The Gaza Strip was not chosen by accident either. It is a region devoid of any major religious importance, its Jewish inhabitants were more national-religious that ultra-Orthodox fanatics, and Israel can rid itself of it without causing a rift between the state and 250,000 of its residents. And so, 5 years later, as they live as refugees in caravan shacks, after thousands of Qassam rockets from Gaza's Hamastan have killed and wounded dozens of Israelis, a year and a half after the Cast-Lead operation, 4 years since Gilad Shalit was kidnapped to Gaza, 2 weeks after the Flotilla as the world comes to pay homage to Hamas, and a few hours since the government's report on Israel's greatest Human Right's failure of all time, maybe its time for an arrogant Yair Lapid to apologize? Sometimes there are unintended consequences to one's actions. For instance, let's take USAID as an example. Now their projects are apparently solely dedicated and intended for the benefit of Arabs only, within the Land of Israel. But sometimes, it just doesn't work out that way. For instance, USAID is investing in road building in Judea. Many of the roads are Jew-free roads, but not always. 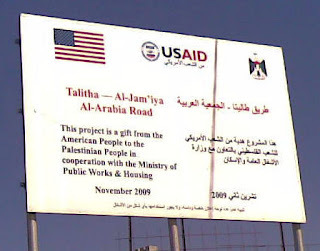 Here's one example from a sign of theirs that says, "This project is a gift from the American People to the Palestinian People...". Now you probably have no clue what road this is they're repaving, because of the name they made up for it. Talitha is the short name for the (formerly Christian) school on the road there, and as far as I can tell Al-Jam'iya is some sort of Hamas/Islamic charity involved in education. It's could be a place, but I haven't found it on any map, so I'm not sure. Anyway, to the rest of the world, it is the Walejah Road, and until the tunnels were built it was one of the main road from Jerusalem to Gush Etzion. 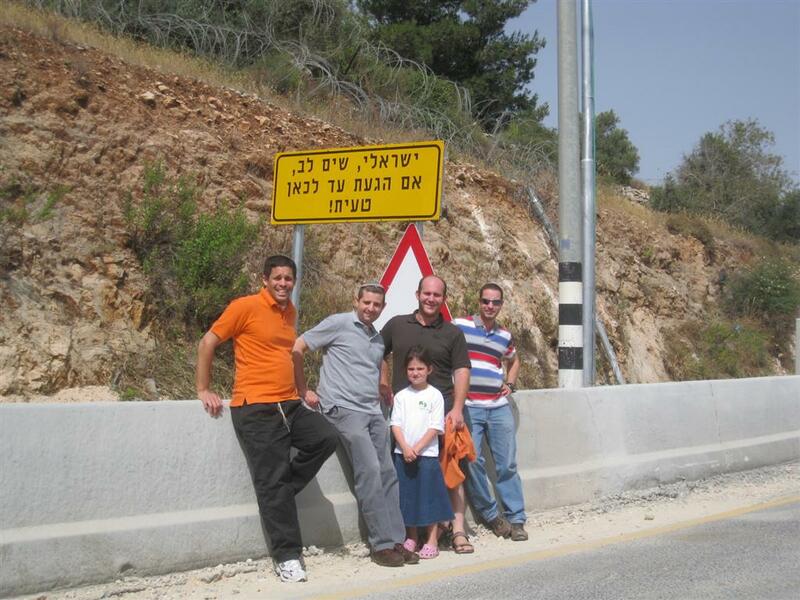 What I think that USAID overlooked is that Jews also use this road regularly. It's a pleasant drive from the Gush directly to Malcha (and the Bibilical Zoo), not the mention Har Gilo to the Gush. It would have been nice if they could have added a line in Hebrew and mentioned that it's a gift for us Jews too. After all, many Jewish-owned cars use that road every single day. Anyway, even though USAID didn't mean to fix the road for the benefit of us Jews, we thank you for building a road that Settlers use all the time. I'm not a fan of the "Mondial" / FIFA World Cup "soccer" championship, but I had to watch a few minutes of it yesterday. The first thing I noticed was the incredibly annoying bee buzzing sound -- and thought there definitely must be something wrong with the audio broadcast. 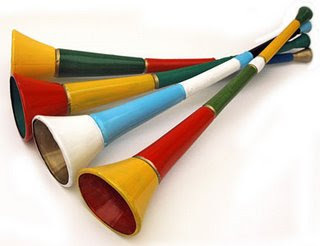 The "Wife Hates Sports" blog has the scoop on this awful noise emanating from Vuvuzelas -- a stupid plastic horn that is the "official" noise maker for the World Cup games. What a stupid noisemaker, for an even stupider, waste of time event. The BBC is even considering a broadcast option in which they filter this noise out of the broadcast! OK, the following issue is Israel related. Israel to outlaw ads with underweight (BMI-challenged) models. The government endorsed a bill Sunday aimed at preventing underweight models from being featured in advertisements. The Ministerial Committee on Legislative Affairs voted in favor of a bill proposed by Kadima and Likud Knesset members. According to the bill, commercial groups will be prohibited from displaying underweight models, and model agents will be banned from employing or representing such models. This also includes a ban on shooting underweight models, who will not be allowed to serve as label spokespersons. A fine of NIS 75,000 (roughly $19,500) will be imposed on whomever breaks the law, which could go up to NIS 220,000 (approximately $57,000) if a campaign featuring underweight models is launched in the media. The bill requires models provide a medical permit indicating their body mass index (BMI) is normal. Hamas has issued the following Public Service Announcement Video, warning against collaborating with Israel. Hamas is reminding collaborators in Gaza that they have till July 10th to turn themselves in to be eligible for amnesty and prevent execution. In this video, one sees a "collaborator" remembering his previous "sins", including drugs, facebook and internet usage, and collaborating with Israel...and the punishment is death by hanging. Not for the faint of heart, or weak-minded humanitarian flotilla peace activists who support the Hamas regime. you have made a mistake! This sign appears on a road coming off of 443, and means that if you're an Israeli citizen, you've made a mistake, and the road you are now on, is only for Palestinians. Of course, highway 443 is open to all, but some roads, like the one above, are forbidden to Jews. Talk about the Palestinian Apartheid State. The Toothless Tiger has done it again. The US State Department has confirmed that despite sanctions against Iran which include not being able to acquire weapon systems ("A ban on all countries providing military vehicles, aircraft or warships and missiles or missile systems and related materiel to Iran;") the State Department believes that these sanctions inexplicably completely leave open the option for the Russians to sell to Iran the S-300 (long range surface to air missile system) - as the State department and the US administration is choosing to understand it. A missile system that could possibly prevent Israel from attacking and destroying Iran's nuclear weapons facilities. QUESTION: Just one more back on sanctions, one more point on the S-300. Is there any side-letter agreement or understanding with the Russians, between the U.S. and Russia, on the S-300? MR. CROWLEY: We have had conversations with Russia about this broad set of issues. And I would note that people have kind of overlooked the fact that there is a significant expansion of the restrictions on the sale of arms to Iran. And that has a direct bearing on Russia, which has had a fairly significant level of commerce with Iran over a number of years. So this was very meaningful for Russia to agree to the restrictions that are in this resolution. But – been some statements out of Russia today regarding the S-300, and as we said, we note the fact that it’s not captured specifically by this resolution, but we have recognized and appreciate the restraint that Russia has shown up to this point. MR. CROWLEY: I mean, I don’t know that there’s any agreement. We have talked to Russia about this issue, and Russia obviously will make up – make its own determination as to how to proceed or not. QUESTION: But you’re satisfied that this particular sale is not – is excluded from the sanctions? MR. CROWLEY: That is clear, since this resolution was based on the existing arms registry at the UN, and the S-300 is not on that list. Gee, was that screw-up on purpose, or by accident? Or are they just choosing to understand it that way? Sometimes the world is really just topsy-turvy. Taking a queue from militant right wingers who demonstrate (and allegedly, sometimes violently) after Arab terror attacks or when Israel's government destroys settlement homes, anarchist and radical elements within Israel's leftist ranks have decided upon similar methods. In "retaliation" for Israel stopping the flotilla from Turkey, leftists defaced the iconic Agam fountain and 2 others in Tel Aviv, spray painting slogans such as "Freedom for Gaza" and "Occupation=terror" around the fountain, and dumping red paint into the fountain's water, coloring it red. 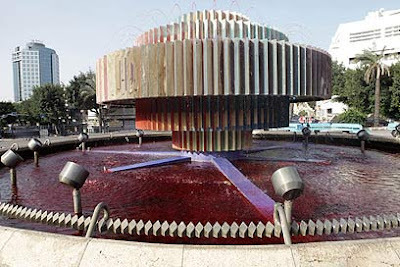 Unlike the "price-tag" actions allegedly assumed to be carried out by right wingers (though Israel's police and Shin Bet have not managed to indict a single person for any of the mosque vandalism, despite dozens of arrests and interrogations), the left wingers proudly left statements attesting to their vandalism.